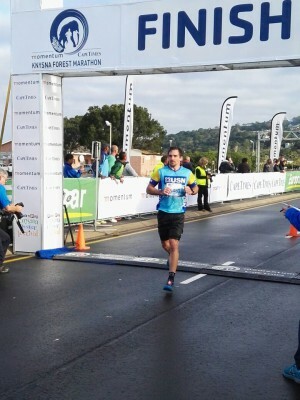 (South Africa, 9 July 2016) There were no surprises at the Momentum Cape Times Knysna Forest Half Marathon, the final event of the BIG5 Sport Challenge, with favourites and defending champions, Stuart Marais and Andrea Steyn taking 1st place in the run and emerging as the overall winners of the 2016 BIG5 Sport Challenge. Just over 7300 athletes braved the cold for the 21km race, where Stuart Marais and Andrea Steyn were the first male and female BIG 5 Sport Challenge athletes to cross the finish line in the Momentum Cape Times Knysna Forest Half Marathon with a time of 1:13.32 and 1:24.56. After five extremely competitive high powered challenges, which were spread over a total of eight days, Stuart Marais held onto his title, winning a record breaking fifth consecutive BIG5 Sport Challenge, and rightfully cementing himself as the official ‘King of Knysna’. Marais placed 1st in four out of the five BIG5 challenges, giving him a substantial lead on the overall leader board, with Theo Blignaut coming in second and Davide Del Fante just behind him in third place. Stuart was elated with his 5th BIG5 Sport Challenge win, “The half marathon brings an end to yet another amazing week in Knysna. I have really enjoyed every event and today was no different. I ran with my mate Bradley Weiss, we set a pace we wanted to run and ran nicely and ended up 7th in the field. What a great run for me! Andrea Steyn went into today’s race with a comfortable 26 minute lead over her closest challenger. She dominated the ladies field throughout the event taking her 2ndconsecutive BIG5 title. Vicky van der Merwe ended in 2nd, with local Knysna athlete Fienie Barnard in 3rd. Andrea Steyn comments , “It was a beautiful morning with perfect weather and I am really happy to finish off my Big 5 Sport Challenge with a great run. Vicky and I ran together for the first couple of kilometres and then I managed to get a bit of a gap and managed to maintain it. I was hurting for the last 5kms but pushed through it and was very happy to finish 1st. 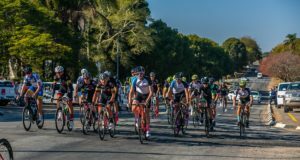 Launched in 2008 the BIG5 Sport Challenge has grown into one of the country’s most popular multi-sport events, becoming a bucket list ‘must’ for local and international endurance and adventure athletes. At this year’s festival children were able to be a part of BIG5 Sport Challenge with the all new BIG5 JUNIOR, which offered a number of fun and exciting events designed specifically for youngsters. Race Director Gary Marescia commented, “We are extremely happy and proud of what has been achieved at this year’s BIG5 Sport Challenge. Entries are up 36% on 2015, and the BIG5 Junior event was added to the challenge, catering for kids aged 12-19 years of age. 2016 also saw a significant increase in the sponsorship support, including SUUNTO as presenting sponsor. The increased sponsorship had a very positive impact on the benefits that the athletes enjoyed during this year’s competition, and we had some outstanding athletes competing this year”. 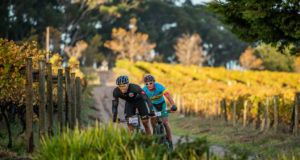 “We are really appreciative of the support that we received from our partner events, the Knysna community and traveling South Africans, and it has been amazing to see so many families taking part in the various BIG5 events. Now we go back to the drawing board to plan for 2017, so that we can make our 8th BIG5 Sport Challenge even bigger and better, including an increased international field through a planned global marketing campaign”, concludes Marescia. The BIG5 multi-sport challenge is one of the highlights on the annual Pick n Pay Knysna Oyster Festival programme and includes The Momentum Weekend Argus Knysna Cycle Tour MTB Race (80km), Dragons Featherbed Lagoon Mile Swim (1.6km), The Featherbed Trail Run (15km), The Momentum Health OatWell DualX, powered by PeptoPro (5km Run | 30km MTB | 2.5km Run), and The Momentum Cape Times Knysna Forest Marathon (21.1km).